Technology is now not only changing the way we use mobile phones, but also the way we tell the time, track our fitness and so much more. Rather than this technology just being available in a device that we hold in our hands, it can now be worn on many parts of the body, including our wrists, heads, feet and even on our fingers! Made from high quality metals and glass, this smart watch from Motorola looks and feels like a normal watch. However, under the glass is Android wear, Google’s all-new operating system for smart watches. 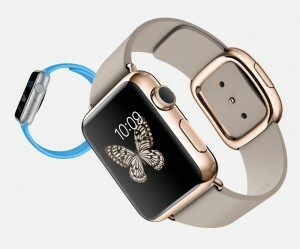 Apple, which lead the way for smart watches, has gone on sale in the UK this year. Not only does this watch tell you the time, it allows you to check and reply to e-mails, make phone calls, as well as connecting in fun ways such as sending a tap, a sketch or even your heartbeat. It also gives you a complete picture of your all-day activity, to help motivate you to sit less, move more and get exercise. 3. Fitbit Surge and Charge. Fitbit has released two new fitness trackers for 2015. The Fitbit Surge blends smart watch tech with top end fitness tracking whilst the charge brings 24/7 heart rate tracking. This lightweight, simple-but-smart, waterproof watch sports an e-Paper, customisable screen and has a long-lasting battery! It is ideal for anytime anywhere, from the gym to the dinner table. Up3 is the latest in Jawbone’s fitness tracker range, it allows you to track and understand detailed health information and sleep patterns. It also uses sensors to measure your resting heart rate. Powered by Microsoft Health, this is your very own wearable personal trainer. It helps you towards a healthier lifestyle by tracking your steps, calorie burn, heart rate and even sleep quality. This is the wearable payment device from Barclaycard. The customised wristband is a ‘touch and go’ for making payments. 8. June UV exposure-tracking bracelet. This digital bracelet has been designed to monitor your exposure to UV rays. Not looking out of place with your other jewellery, it will show you how long you have been exposed to potentially harmful rays from the sun. If you spend too long in direct sunlight it will warn you to cover up or apply sunscreen. This virtual reality device developed by Samsung electronics lets you see the world beyond your peripheral vision – enabling you to enjoy movies and games as if you were at the cinema. Lastly, just when you thought wearable technology couldn’t get any smaller, we will now be able to get our Facebook and Twitter updates on a ring! Currently only available for pre-order, the metal ring will flash notifications and scroll text. Previously, we would have felt lost when we had to part with our mobile phones, if we had misplaced them (or left them at Lovefone to be fixed), even if it were just for a couple of hours! But not any more; now we have so much wearable technology that it can keep us updated pretty much constantly. In fact, with all this futuristic technology set to cover our bodies, it won’t be long until we start looking and feeling like robots!